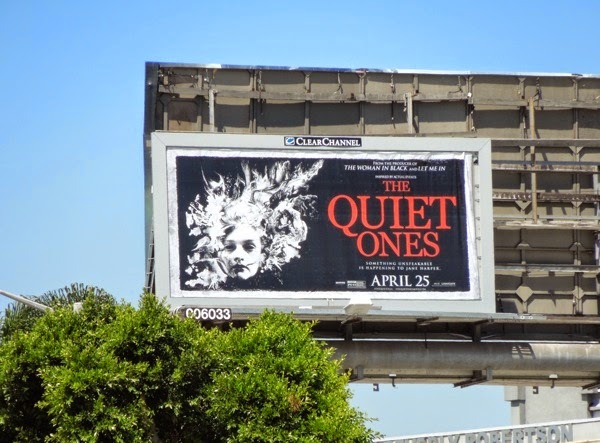 Will The Quiet Ones quietly sneak its way to the top of the box office this weekend, or will it sink without a trace to be horror bargain bin fodder in the future? 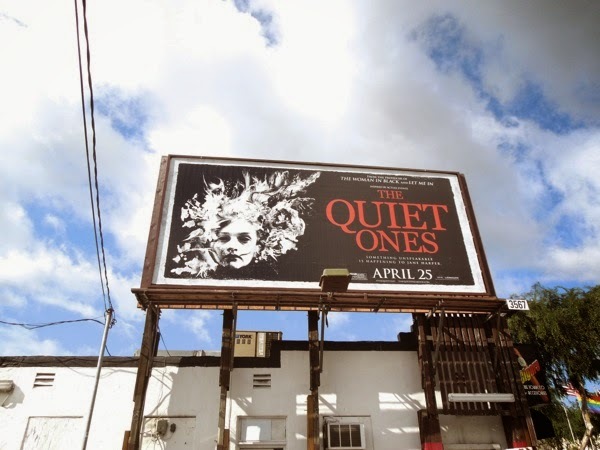 The supernatural horror is the new offering from the infamous Hammer Film Productions, famous for such horror classics as Dracula, The Curse of Frankenstein, The Quatermass Xperiment and dinosaur flick One Million Years B.C., and which more recently brought us such spooky delights as Daniel Radcliffe in 2012's The Woman in Black and Chloe Grace Moretz in 2010's Let Me In. 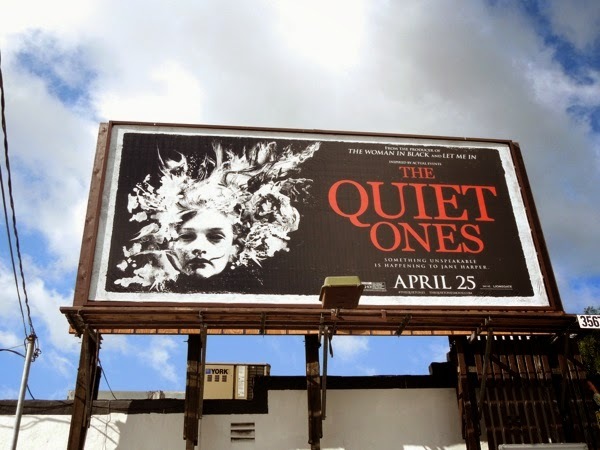 This time Mad Men's Jared Harris and The Hunger Games: Catching Fire's Sam Claflin star as a University professor and a team of students experimenting on a girl (Olivia Cooke) troubled by dark, supernatural forces, which never ends well does it. 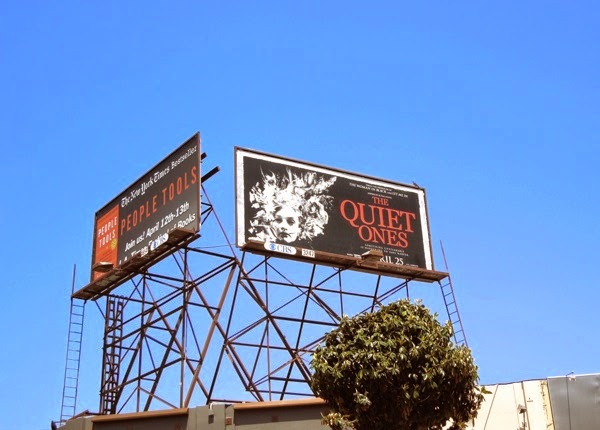 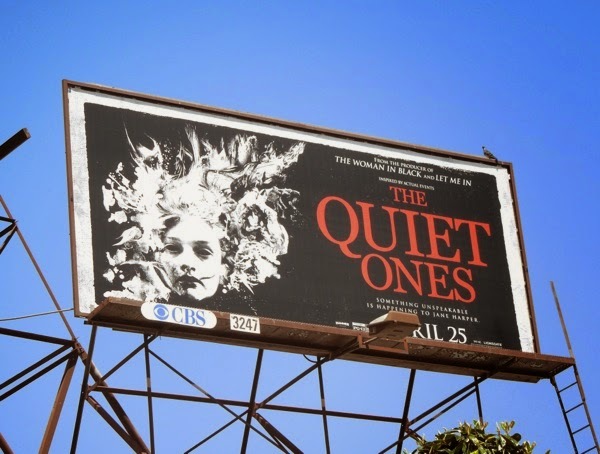 These suitably eerie and ethereal black, white and red billboards for The Quiet Ones were spied around the streets of L.A., including Santa Monica Boulevard and Beverly Boulevard, from March 26 to April 24, 2014.